Emily Elizabeth Lessard just graduated from Elon University in North Carolina in May 2014, with a Bachelor of the Arts degree in Theatre and Dance. Past theatrical credits include White Christmas (Judy Haynes), Peter Pan (Wendy Darling), Grease (Sandy), The Wiz (Scarecrow), and Hairspray (Lou Ann/ Council Girl). She has been dancing since the age of 3 (CT Dance, Elon University, Broadway Dance Center) and coached vocally since the age of 10 (Beverly Blanchard, Beth Carter). Emily has also worked the past 5 summers at CT Dance in Monroe, CT choreographing theatre camp shows for children ages 8-13. She is beyond excited to begin working at Magical Memories with Mandy! Skylar Beirne, born in Milford Connecticut, has been preforming onstage since age 10 in various musicals, recitals and plays. Skylar studies voice with Rebecca Beisler at the Little Red School House of Art and Music in Stratford and studies guitar with Michael Nunno at Route 1 Guitars in Milford. Some past credits include: Beauty and the Beast (Crone), Dead Man Walking (Lucille Poncelet), Godspell! (Featured Soloist), How To Succeed in Business..., Guys and Dolls (Chorus), and Alice in Wonderland (Cheshire Cat). Skylar is also an active member in the St. Joe's Student Ambassador Organization. Skylar is very excited to be fulfilling one of her childhood dreams of becoming a princess and to be a part of the Magical Memories staff! Patrick Agonito was born and raised in Trumbull, Connecticut. Patrick studies voice with Lia Carter, while also taking acting, voice and dance lessons at Music Theatre of Connecticut in Westport under the direction of Jim Schilling, Kevin Connors and Jeri Kansas. Past credits include Beauty and the Beast (Lumiere), Dead Man Walking (Hilton Barber), Godspell (Jesus), How to Succeed...(Mr. Gatch), 12 Angry Jurors (Juror #9), Legally Blonde (Emmett), Guys and Dolls (Benny Southstreet), and Oliver! (Oliver w/ Kevin Gray and Aaron Serotsky). Patrick is a member of the Fairfield County Children's Choir with whom he has performed all over the country, including Carnegie Hall, Tanglewood, and Madison Square Garden. Patrick participated in the Closer to Free Campaign for Yale New Haven Hospital, whose commercial premiered during Superbowl. Patrick is very excited to be a member of the Magical Memories team!! 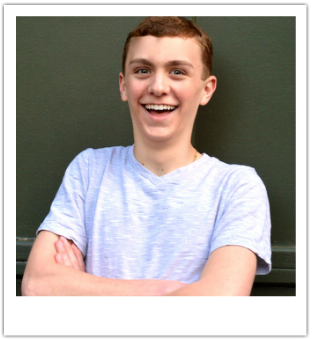 Born and raised in Connecticut, Evan has been dancing, singing, and acting since the age of 7. He has won numerous dance awards and scholarships for his tap dancing ability. Past theatrical regional credits include Beauty and the Beast (Gaston), Thoroughly Modern Millie, Jr. (Jimmy Smith), Peter Pan (Michael Darling), and Seussical The Musical (JoJo). While still attending high school, Evan trains extensively in all styles of dance at Broadway Dance Center in NYC as well as nationally with The Pulse on Tour as a Pulse Protégé. Evan has been coached vocally since the age of 12 (Brett Boles) and has trained with Lane Napper (Victorious) for acting. Evan is actively involved with local dance studios in Connecticut teaching and choreographing tap. Most recently, he has been honored as a YoungArts 2014 Honorable Mention Winner in Dance/Tap. Evan loves working with children and is excited to be part of Magical Memories LLC.